All the leaves are yellow,All the grass is brown.All the nights are longer,Sun goes down.Crows are in the branches,Wolves are in the wild.Others in the shadows,Goodbye, child.--AnonymousThis book includes:• Motivations, methods and examples from the antagonist changeling factions• In-depth treatment of the True Fae, complete with new potential Keepers• Expanded information on fetches, hobgoblins and human antagonists• Dozens of antagonists ready to drop into a chronicleAutumn Nightmares is a supplement for Changeling: The Lost. 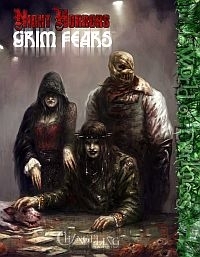 For use with the World of Darkness Rulebook. A Storytelling Game of Beautiful MadnessTaken from your home, transformed by the power of Faerie, kept as the Others’ slave or pet — but you never forgot where you came from. Now you have found your way back through the Thorns, to a home that is no longer yours. You are Lost. Find yourself.The Core Rulebook for Changeling: The Lost™ • A rulebook for playing the changelings, those humans changed by durance in Faerie to something more than human • A vivid imagining of the fae beings and places that hide unseen in the World of Darkness • Provides new player types and antagonists for crossover chronicles as well as chronicles focusing on changelings aloneChangeling: The Lost is the fifth game in the World of Darkness. The Scrolls of FateThe game of beautiful madness demands a little elegance on the table itself. This character pad provides that extra touch of elegance, in the form of character sheets visually engaging and impressive enough for the characters that inhabit them.A Play Aid for Changeling: The Lost™• Contains character sheets to fuel multiple chronicles• Variant sheets provide elegant designs based on your character choices. 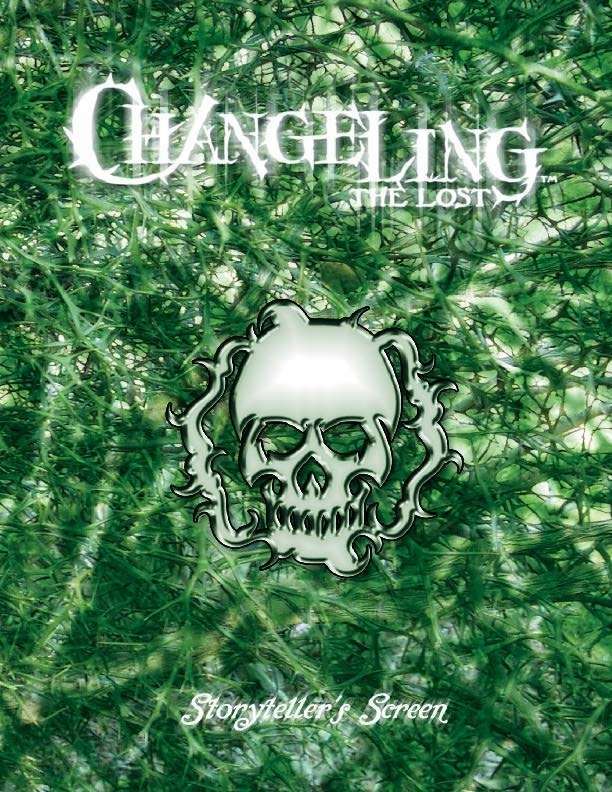 This free booklet gives you and five of your friends everything you need to play your first game of Changeling:The Lost, White Wolf’s all-new Storytelling Game of Beautiful Madness. Discover the wonder and terror of the Lost in “Dwelling in Darkness,” a complete introductory scenario. All the necessary rules are included. All you need is a few 10-sided dice and you’re ready to go. Shield your cryptic die rolls and notes from prying players' eyes, and have the wisdom of the Lost available at a glance. Every freehold knows of at least one. Some seem to have grown up almost overnight, like a ring of small white mushrooms. Others seem to have run for millennia, outliving the rise and fall of the freeholds that surround them. They’ll never go away entirely, despite the dangers of their wares. 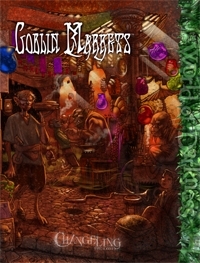 Someone always needs something you can only get at a Goblin Market. 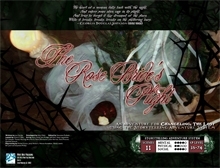 An episode of the White Wolf Blogcast featured the opening fiction of Goblin Markets. You can download the file for free here. Five player characters, ready to use in your chronicle. Running a one-night game of Changeling: The Lost? 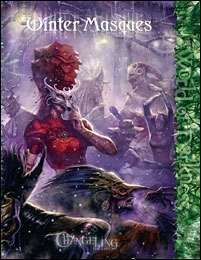 Wanting to start up a new chronicle, but your players aren’t sure what to play? Looking for a fast way to dive into one of White Wolf’s SAS adventures? 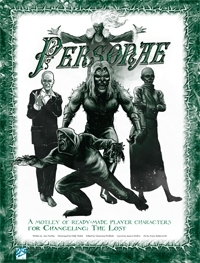 This PDF details “Personae,” a motley of player characters designed for instant use in your Changeling game. • Five pre-generated player characters, with both starting and experienced character sheets. • A brief break-down the character’s history to help players jump into the group. The King of Spring has been enspelled And wanders in the green. The Queen of Spring put on her Mask And walks a path unseen. The Knight of Spring is dressed in gold And guards the maiden’s dream. 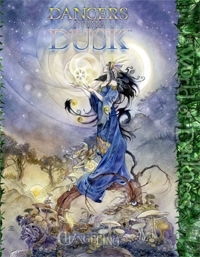 The Knave of Spring, she stole the moon… Or so it all would seem. 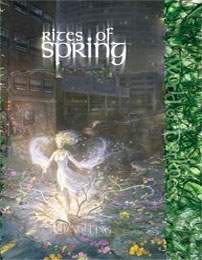 — Pretty Penny, freelance soothsayer This book includes: * Expanded information on the magic of the Lost, from their mystical lore to new and powerful Contracts * Greater detail on dreamshaping, pledgecrafting, Clarity, the Mask, and many other aspects of changeling magic * Many more tokens, goblin fruits and other wonders to be found within the Hedge Rites of Spring is a supplement for the World of Darkness game Changeling: The Lost. A new day is coming. It could be for better, or it could be for worse. The tides of change are sweeping across the Hedge. Alliances crumble. New oaths are forged. What will remain the same, and what will be lost forever as a new day dawns? • Details on the wars and conflicts of the Lost. • Talecrafting and Fate as means to expand a character’s legend. • Glorious objects and terrible relics from legend and dream. 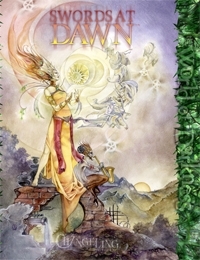 • The Court of Dawn and new Entitlements reflecting the aspects of change. 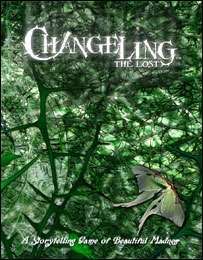 This, the first SAS story kit for Changeling: The Lost, takes players' characters into the weirdly fantastic realm of the Hedge, where the terrors and wonders of the Fae lurk, and into the passion and courtly conflict of those who have escaped the Faerie lands and back into our world. They — and your characters — are changelings. 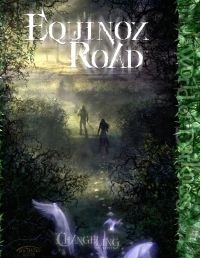 Forever hunted by their former slave-masters from the Faerie realm, changelings face magic and horror every night in the World of Darkness. But on a night like this one, there is also a chance for real hope. 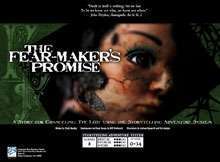 The question is, what will your characters do to bring hope to the changelings? A child is going to be sacrificed... or rescued. You decide. Victorian Lost: A Maze of Smoke and Hedge is a historical setting for Changeling: The Lost. This book contains information on the late Victorian Era, including both actual history and fanciful imaginings of this time. You'll find discussions of the occasionally violent tensions between the rich and the masses of the poor who worked in their factories and homes. This book also examines the competing visions of rural and urban life. Some saw the countryside as pure and cities as corrupt, while others viewed rural areas as ignorant and backwards, and cities as centers of progress and invention. 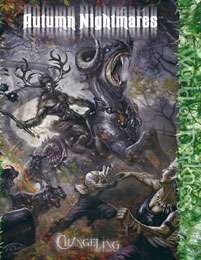 Is this bundle worth getting if I plan on getting Changeling the Lost 2nd edition when it comes out, or is 2nd edition going to make all of the 1st edition sourcebooks obsolete? 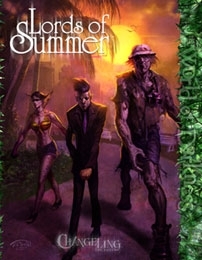 Though I don't know anything about Changeling the Lost 2nd edition (except that I'm also waiting for it :P), I assume it will be like Vampire, Werewolf, and Mage where some source books are still considered useful and some are...less useful. 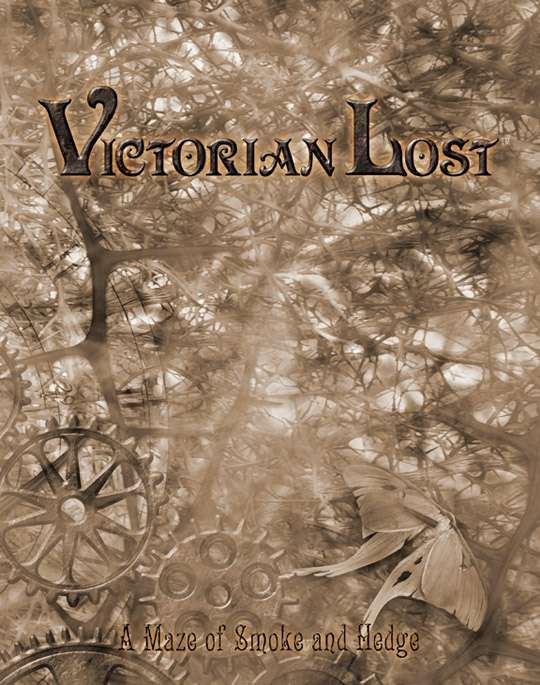 edit: I think Victorian Lost will be useful for Changeling since it is listed under the Changeling tab at the Onyx Path Publishing page. This title was added to our catalog on July 08, 2016.